Work at home Jobs - Important Warning For Those Looking To Work From Home ! Sick & tired of your job or just want to supplement your income? 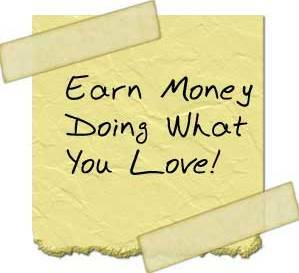 If you are looking to a work at home business, I say 'good for you'! The internet provides amazing opportunities, but wait!!! Not so fast, you'll need to know a few things BEFORE you start or join any of them. And sorry to disappoint you, but I need to let you know up front, thatthe majority of home-based jobs opportunities presented to us online are false! And it doesn't matter whether they pitch as data entry jobs, stuffing envelopes, posting ads, doing surveys or telemarketing, THE MAJORITYof them ARE scams- they steal your money! Perhaps most significant is that they waste your precious time and cause serious embarrassment to you and your family [many times they ask you to tell all your friends and family]. And bear in mind also that they usually appear highly impressive and irresistible, requiring you to ACT NOW, but for the most part they are all the same. ...to have your own website! And can I tell you a secret? ...That's what all the internet gurus have in common. All those who are making significant (and honest) money online have their own website!!! Simply put, If you are going to tap into the power of the internet, you need a little website! But not just a website - like the majority out there, but a simple, yet complete online business building package. After all, it is still a business you are doing, although the web offers you a lot more flexibility, freedom and quality time for you and your family- compare to the tedious day job. Your own website, pulling its own traffic, forms the platform for you to make considerable money online over time- from numerous angles! ...You can offer finder fee services, do referrals, sell your own product, the product of others [affiliate marketing] or even just sell advertisement, AND of course incorporate the lucrative Adsense program from Google. You decide! Whichever way, you simply can't go wrong! Many persons however, [and I suspect you too] shy away from getting their own website. They say "that's for techies", "I don't have the time" and/or "I don't know what to create a site about". GONE ARE THE DAYS! Almost anyone can get started with their own site. The technology is so advanced that if you can create an email, you can do it. You don't need a lot of time! I created this site, www.my-island-jamaica.com while STILL DOING MY DAY JOB. In the evenings when I get home I put in an hour or two, and sometimes on the weekend. Don't know what to create your site on? Don't you have a passion? Something you love? A hobby? Say, pets, sports, cake-baking, drawing, singing, fashion, sewing,writing, ...whatever? See? I knew it! You are already on your way. More in this article. How about YOUR OWN KNOWLEDGE? Don't you find that people learn from your knowledge? At work, at church, at school, at social activities or around the community? NEVER underestimate your own knowledge! This article proves my point. TIP! If you are interested in EXACTLY how I did it myself, click here for more information. Website aside, there are numerous other genuine and reputable work at home options for you to consider, of course the key is always to find them, and more importantly, get the "know how" - which, in my view, is the most critical element. Sadly though, many persons have been deceived by people claiming to have 'the formula' or 'the secret'. They sometimes pay hundreds and thousands of dollars only to find that the so called 'work at home' opportunity doesn't deliver, that's if they even got the product in the first place! How can you find a credible program to buy, subscribe to or promote? Something that can provide a decent supplement to your current income, or completely free you from the shackles of your day job. I honestly don't have all the answers, but again, my first suggestion would be to start with your own website, REMEMBER, that's how the big shots are making online money! Many persons however prefer the faster lanes, for example, affiliate marketing. Admittedly, affiliate marketing has some tremendous advantages. Not only is it the easiest, quickest and simplest way to start making money online, it can be very convenient as well. But there are some pitfalls you MUST be mindful of first. There are some basics you need to establish BEFORE you get started otherwise you are setting yourself up for TROUBLE! I would highly recommend you take a look at my affiliate tips to get a good insight into some of the things to watch for. Go ahead and look at the affiliate tips! Not only did I capture some of the latest requirements in the industry, I also made sure to include lessons from my personal experiences that I am expecting you to learn from. Click here! to review the tips! By the way, if you know of another solid online or home business opportunity that is working for you, please share it with us. I would love to share this feedback with my other ardent site visitors. I continue to enjoy great success with this site. So much so that I have created a special page called My SBI Story which I have been sharing with my other site visitors like yourself. You are welcome to see it for yourself by clicking here. Go to Online Business Tips from 'Work at home'.